Open it and show 3D effect, Give you a special feeling and make your life more fantastic. 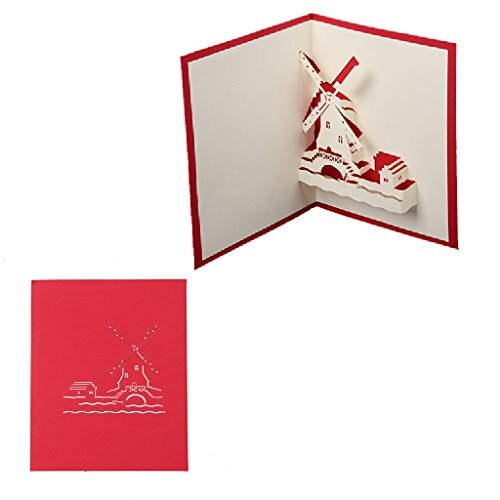 Very exquisite paper carving of windmill,high quality. Suitable for sending it to people as a gift or keeping it as a tourism memorial. Also suitable for using it as business invitation. There is space inside of the card to write down your own blessings words.